QUESTION: the ECB is arguing that given the low free float of EU bonds (especially German), bonds not owned by the ECB or other central banks, the impact of an end to APP purchases will be nowhere comparable to the tapering sell-off in the US in 2013. Bank research teams are hanging on to this idea to make positive forecasts in the EUR exchange rate versus the USD. They say an end-date for the APP programme may not result in a higher risk/term premium in the European government bond market. ANSWER: The ECB knows it has to stop the QE program. They also know that Yellen was correct in lecturing them that interest rates had to be “normalized” so they know there is a real meltdown coming. That is inevitable. Pension funds cannot buy 10-year bonds at 1.5% or even 3% locking in losses for 10 years. I really fail to see that claiming there is such a small float, because the ECB has been the 800-pound gorilla buying everything, that interest rates will not rise. 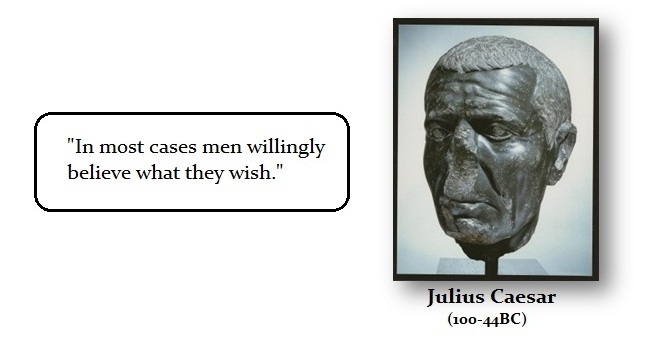 That is just complete fallacy. 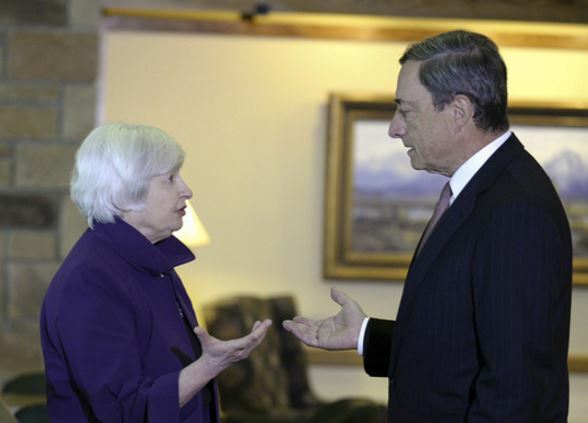 There is a small float because they have DESTROYED the bond market in Europe. Draghi has proved something incredibly important – Demand-Side Economics has been a complete and utter failure. After 10 years of manipulating interest rates, that they want to put private bankers in prison for under the Libor Scandal, the ECB has failed completely. In just 7 days, the German bunds dropped from 16415 to 15939 – that was 5.9%. 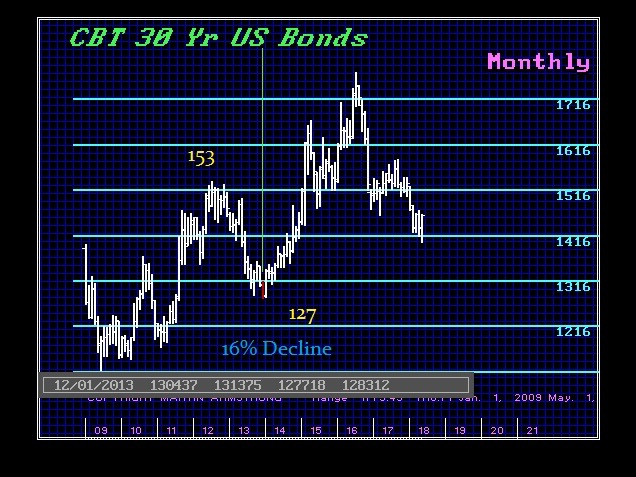 The 2013 decline in US 30-year Treasuries back in 2013 was 16%. So what the Bunds did in 7 days in their decline based upon events in Italy reflect that the ECB is trying to paint a picture that yes – rates will rise and bonds will decline. However, the decline will be less than the USA (in their biased opinion) so you will lose less money buying European debt than American. A great sales pitch. 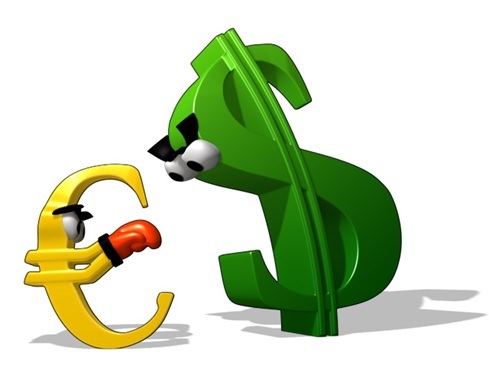 There are people who just WANT to believe the Euro will defeat the dollar. They, therefore, look at anything to support only that view. Good luck on that one.